Before I knew how to cook, I'd bake with my mum and sisters. Baking has always been one of my favourite things to do on rainy days (except for watching movies), or slow Sunday afternoons where I could do with a pick-me-up. As a kid, jam tarts were my favourite sweet treat and as an adult I adore the tangy taste of strudel, especially as it's so easy to find a vegan one! Those are the two tastes I can compare this sweet treat to most. 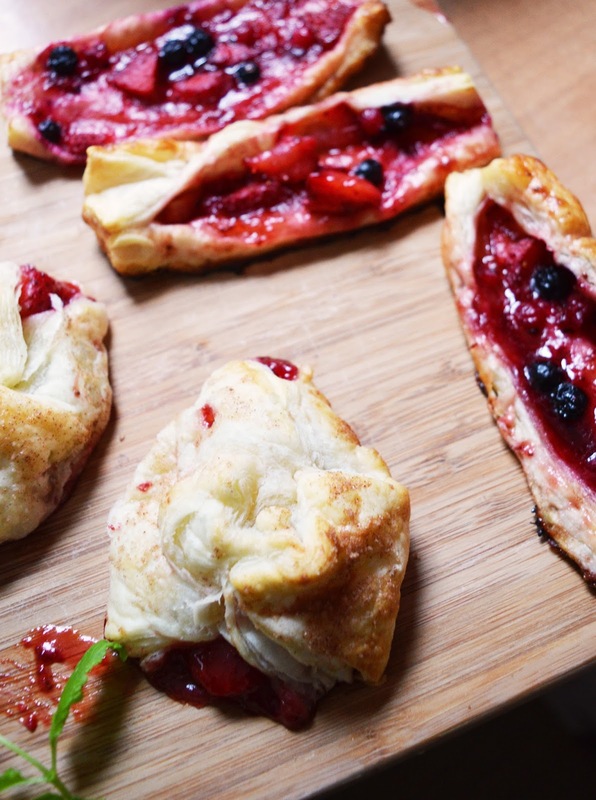 I made this recipe up as I went along and they turned out pretty nice (I ate them all in one day, sorry not sorry), so thought I'd share them here for anyone looking for a fruity fix. 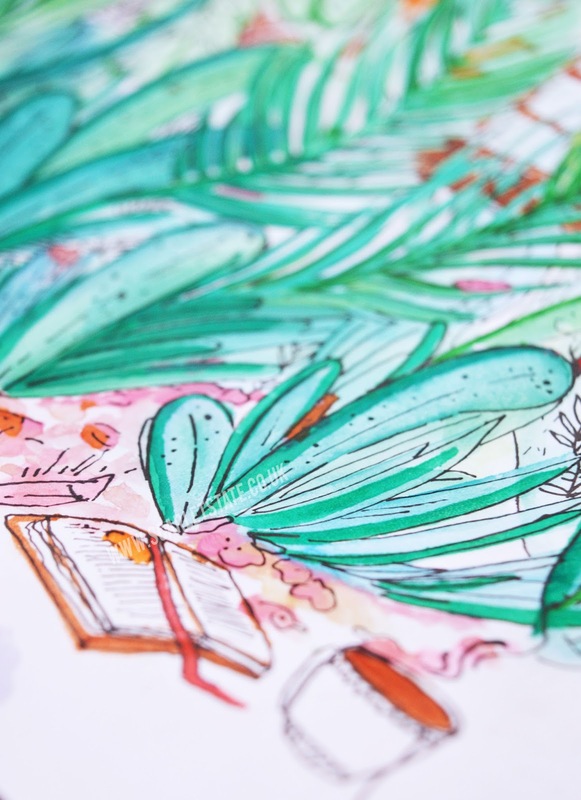 If you're not sure what to do in some of the written steps, scroll down for a step-by-step photo recipe! They're so easy and quick to make. Preheat your oven to 180C and line a baking tray with greaseproof paper. Mix together the jam and frozen berries. 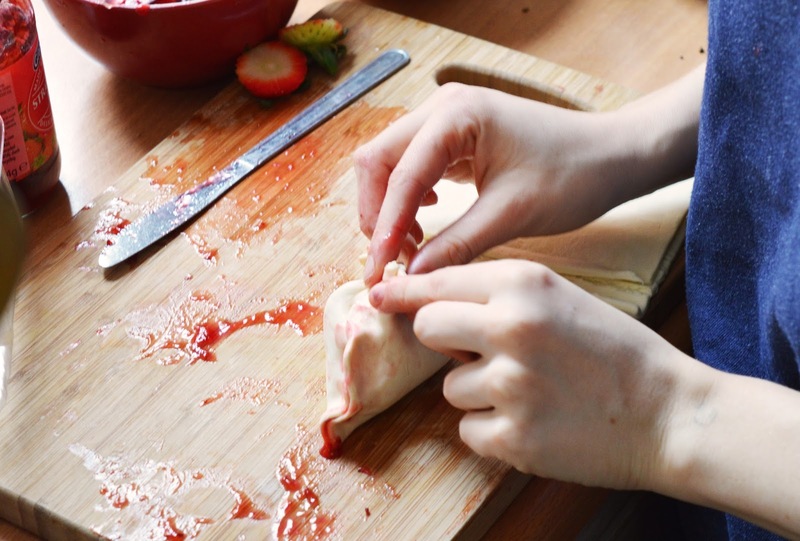 Cut up your strawberries into small chunks and add to the jam mixture. 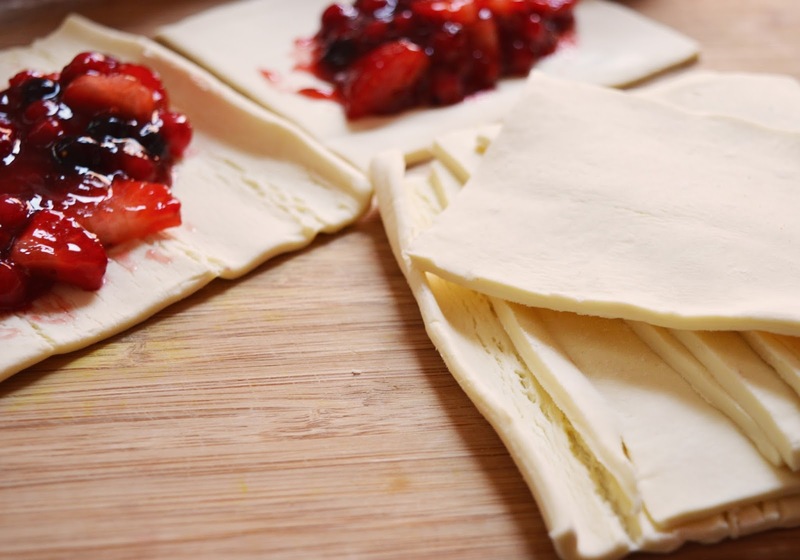 Roll out your puff pastry and cut it into around 4"x4" squares, depending on the size of the parcels you want to make! 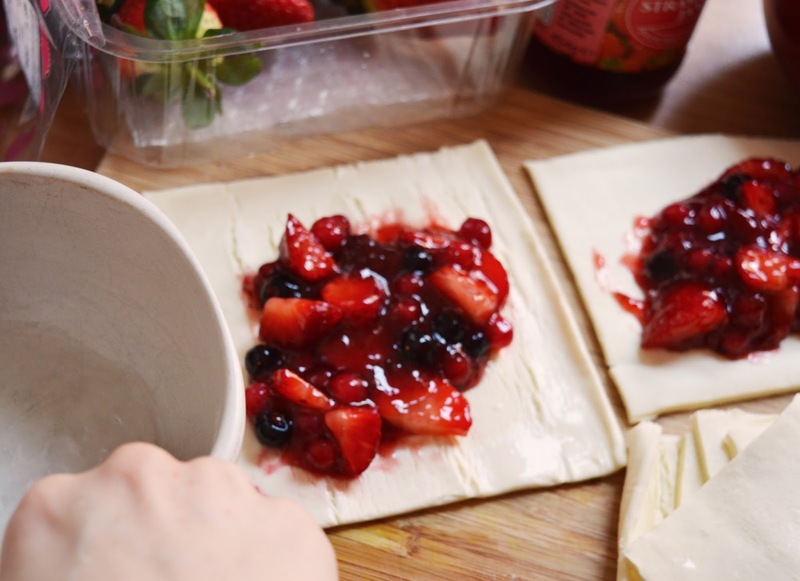 Using a tablespoon, drop the jam mixture into the centre of the pastry squares, leaving a 1" gap around the edges, then fill a bowl with some water and dip your fingers in, rubbing the water over the empty edges of the pastry. Do this for each pastry square. 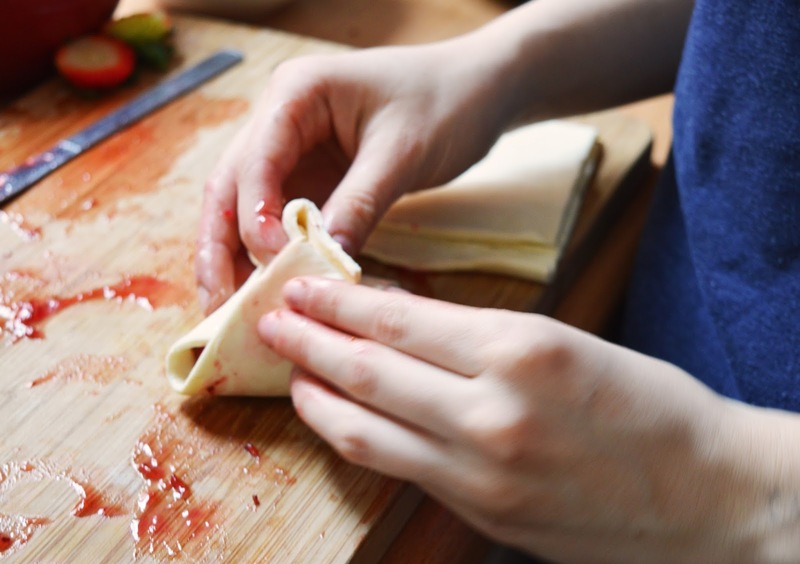 Bring the edges into the centre and pinch them together, sealing with extra water if you need to! Don't go overboard as they might fall apart. 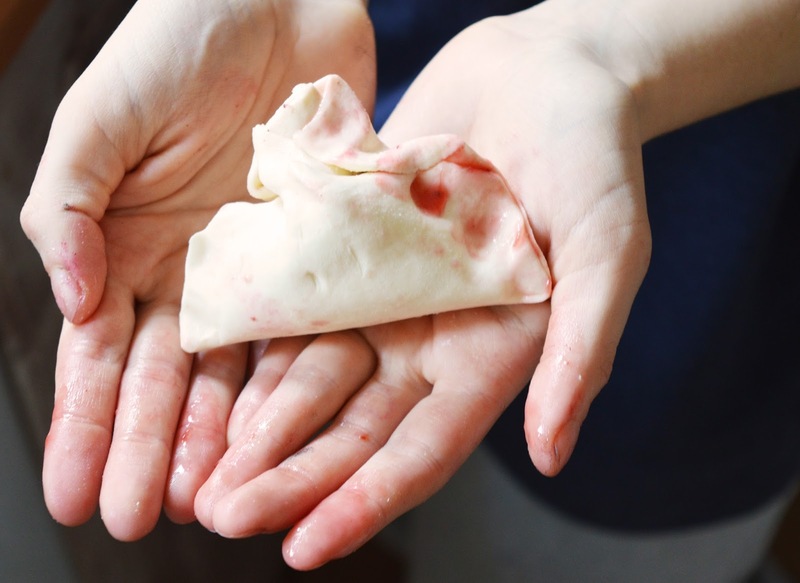 Refrigerate for 15 minutes, until firm. While you do this, mix together your sugar and cinnamon in a cup. 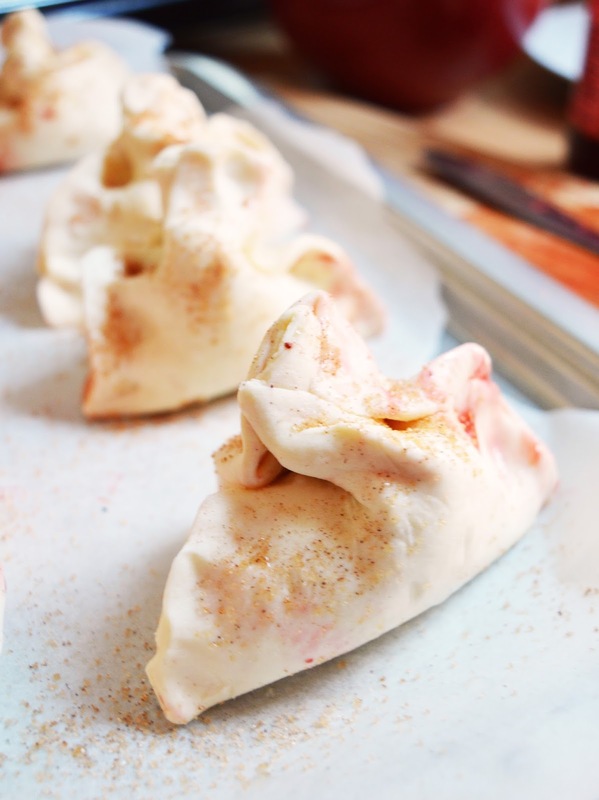 Rub a little water on the outsides of the pastry and sprinkle the sugar and cinnamon mixture on it until it sticks. 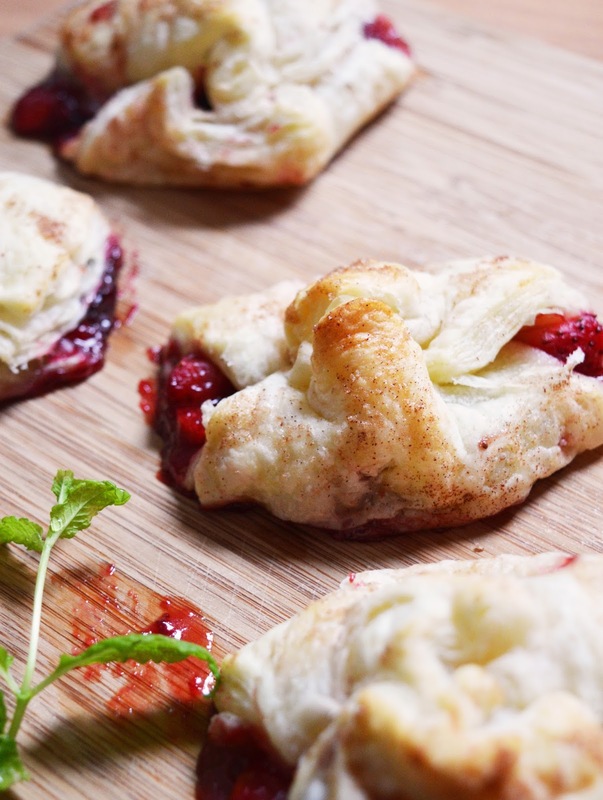 Pop them in your preheated oven for 20-25 minutes or until golden and crispy on the outside. I made little rolls / tarts with the excess pastry- you can do this too with any extras you might have left over. They don't look as neat but they're just as sweet! These pastries are incredible when warm, but be careful as the jam inside can be crazily hot even when the outside feels okay to eat. Optional step 10 is to make a huge mug of tea, get into comfy clothes and do nothing productive with your Sunday. 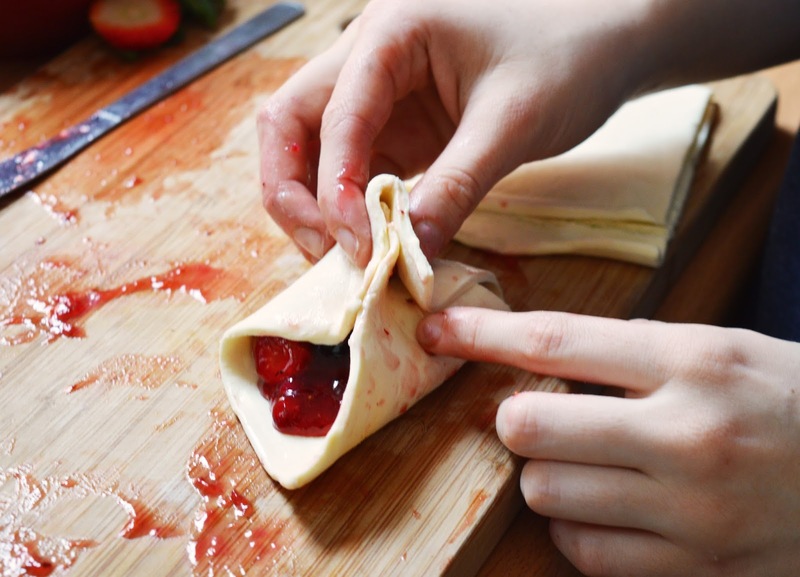 I hope you like these strawberry pastry parcels! Perhaps this recipe should have been posted in time for Valentine's day, but I'm all for treats and self love on any day of the year! Let me know if you make these! What's your favourite sweet snack? If you liked this you might like my last recipe post, a vegan fry up!